There are some 7,500 - 10,000 registered trusts and foundations in the UK (depending on your definitions). There are a small number of large grantmakers which give out public money - e.g., The Big Lottery is the single largest grant maker in the UK giving out around £650 million each year; while the various Arts Councils in England, Scotland, Wales and N. Ireland distribute around £500 million of Grants-in-Aid from central government money. There are also a large number of "private" grantmakers which may be set up and run by companies, families or individuals. Cat's research in this area includes 9 years working on Charities Aid Foundation's Charity Trends publication tracking the UK's top grantmakers, and 3 years working on the successor to this: Foundation Giving Trends, as well as assorted other projects. 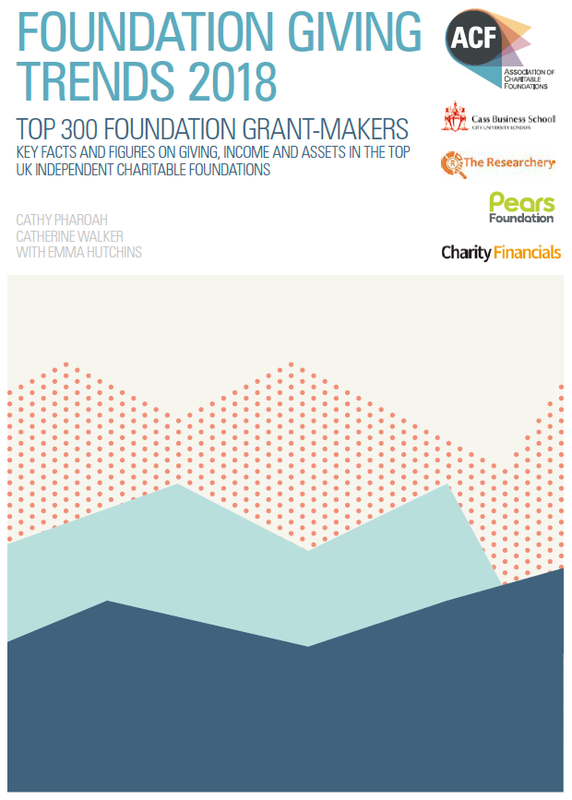 The Foundation Giving Trends series is a longitudinal analysis of the top 300 UK grant-making foundations - their giving, income and assets. Foundation Giving Trends 2018 updates the latest headline figures and features a special spread on place-based funding. A special feature this year demonstrated the innovative ways foundations are working in partnership to drive social benefit. This report, commissioned by The Clothworkers' Foundation in 2015, analyses the state of the UK's capital funding for charities. 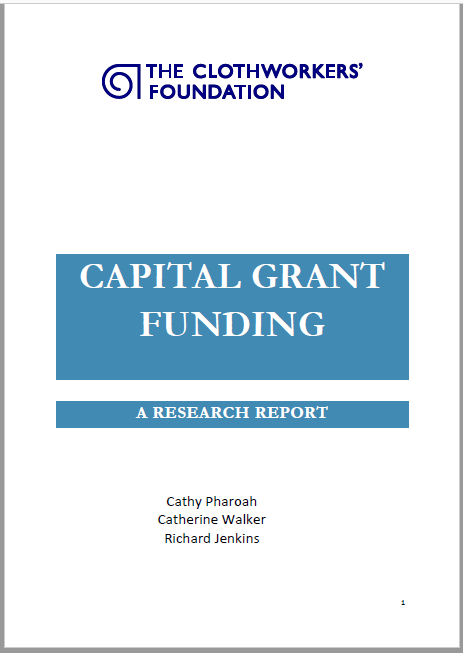 The main finding was that despite its importance for the future sustainability of the UK charity sector, capital grant funding has taken a particular hit in the current funding climate. In 2015 the Directory of Social Change (DSC) published its contribution to the debate on trust funding and its place in the voluntary sector landscape, authored by Dr Catherine Walker and Tom Traynor.